A voyage with the Statsraad Lehmkuhl is a life-changing and inspiring experience for many people. It is much more than just an ordinary vacation. Join us in setting sails, stand at the helm, be the ship's look-out and fire watch and - if you are brave enough, climb the rigging. We can guarantee you new experiences on board one of the world's biggest sailing ships, where you will meet people from all over the world and probably get to know yourself a lot better. While on board, you will be assigned to a watch team and will be on watch duty for 4 hours during the day and 4 hours at night. 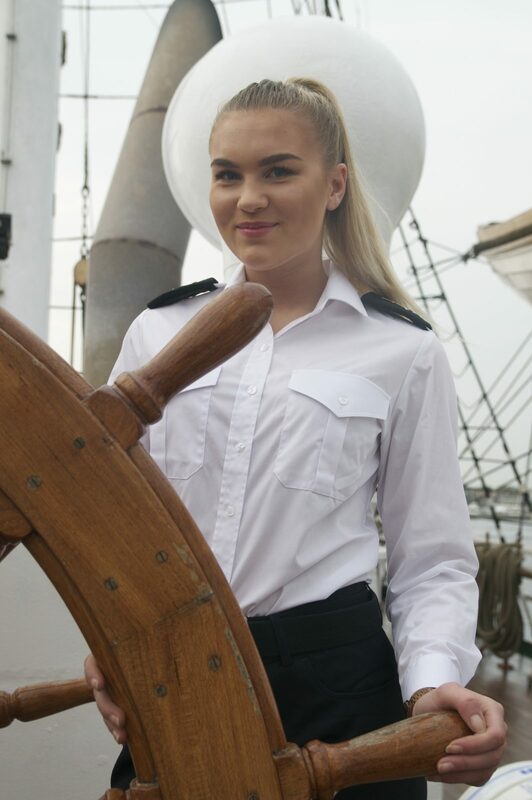 You will become an important part of the ship’s crew and will assist in sailing the ship under the guidance of our professional sailors. The lower age limit for joining a voyage without a parent or legal guardian is 15 years, or 12 years when accompanied by a parent or legal guardian. To participate in the watchgroups alone you must be 15 years or older. During the Tall Ships Races, the regatta rules do not allow anyone under the age of 15 to be on board the participating ships. There is no upper age limit, but take into consideration that you will be sleeping in a hammock and also that all trainees are expected to participate in sailing and operating the ship together with the ship’s professional crew. Hard work and climbing in the rigging are however voluntary. Sleep like a true sailor in a hammock below decks. Our ship is over one hundred years old and we strive to keep her as authentic as possible, which is one of the reasons that our trainees still sleep in hammocks – as they have done since 1914. We do not offer any private cabins. The accommodation is very basic, yet most people find the hammocks very comfortable and practical, especially when the ship is at sea. As there is very limited space on board a sailing ship, please do not bring bulky suitcases, pack your things in a soft bag that can easily be stowed away. Each trainee is assigned a chest and a locker with a key, where they can stow their personal belongings to keep them safe and secured at all times. All meals served on board during the voyage are included in the voyage price. Additionally, coffee, tea and light snacks will be available. Coffee breaks at 10:00 and 15:00 and snacks during the night watches.